This entry was posted in Quilts and tagged baby quilt, quilt, Quilting. Best of luck to you on Thursday! Love the teddy bear quilt. 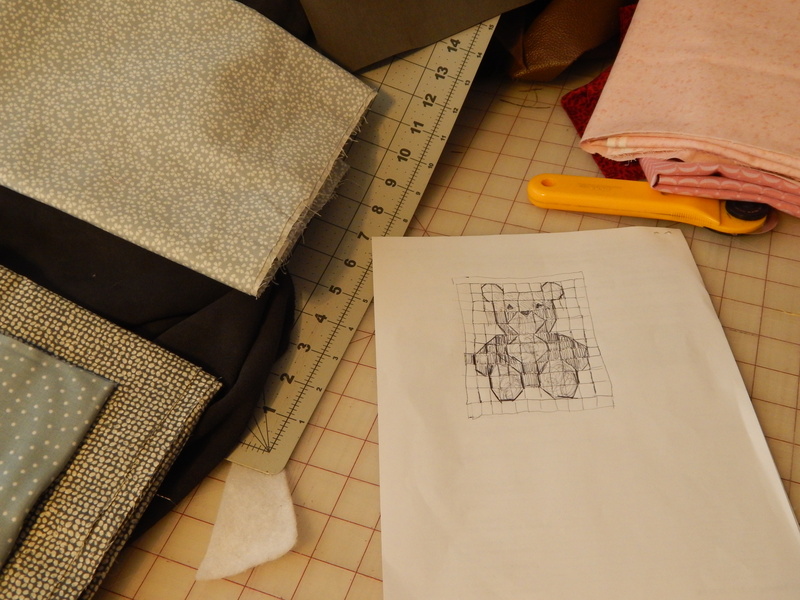 It’s amazing to see a drawing on graph paper become a quilt. I have you on my calendar for Thursday Tim and I will be praying that day for you. Holding good ht oughts for you on Thursday. It will be so nice to have the procedure behind you! This is a darling little quilt. Best wishes to you fro Northern California where the rains are getting started. Nice quilt! They will love it! Hope you get well soon! So cute! Wishing you the best!! I love the quilt. Hugs and prayers for a speedy recovery! 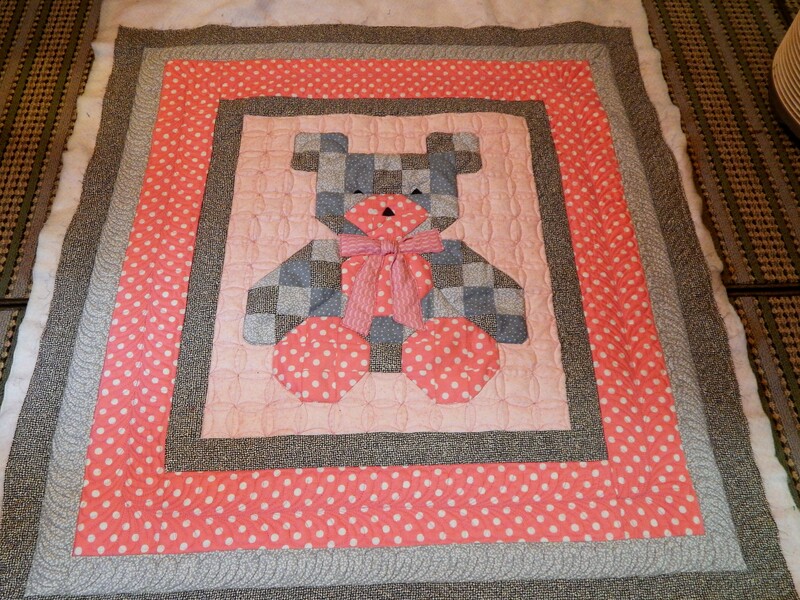 Both Teddy and the teddy bear quilt are adorable. I am praying for improved health for you! 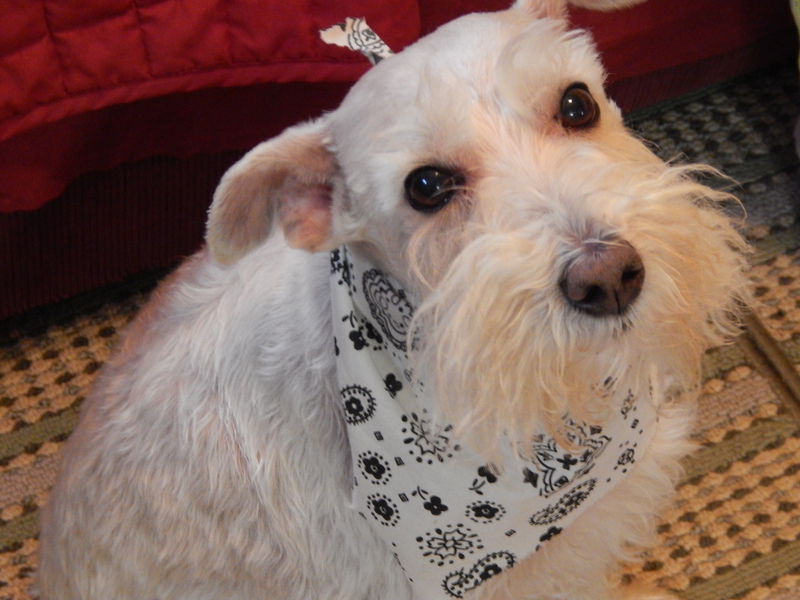 Hope all goes well for you Thursday and you’ll be feeling better quickly. That look in Teddy’s eyes — is he thinking the bear is getting more attention than he is? And what’s the bear’s name. Andrew will want to know. 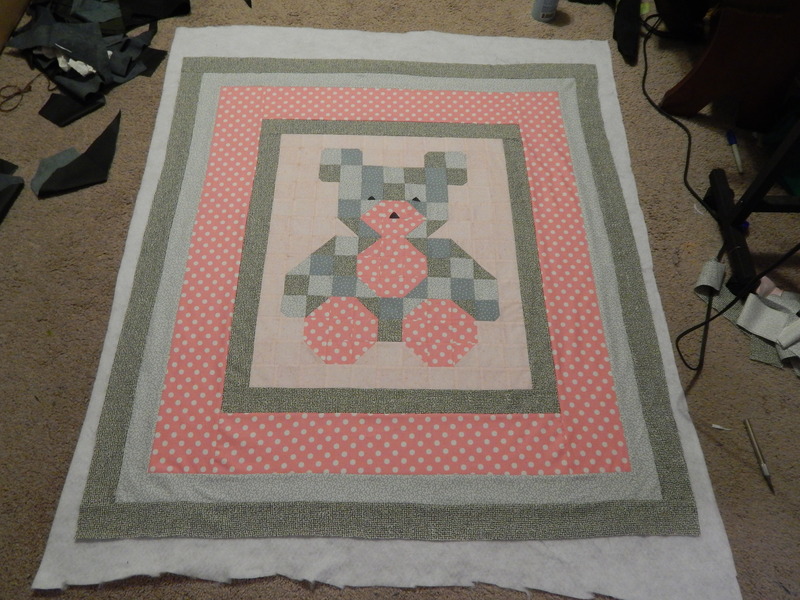 The Teddy Bear quilt is lovely. Glad you were able to complete it. Sending prayers that everything goes well on Thursday and that you will be feeling better soon. I’m glad to know when your procedure is scheduled. Will be thinking of you all day! Thanks for keeping us posted. Love the Teddy Bear quilt. Lucky baby! Mixed rain, sleet and snow here today. Ugh, it’s starting….At least I got my bulbs planted! Adorable little bear. Praying the Lord meets your every need. Love your Teddy, animate and inanimate! I am keeping my fingers crossed for you for Thursday. Good luck and prayers on your procedure. 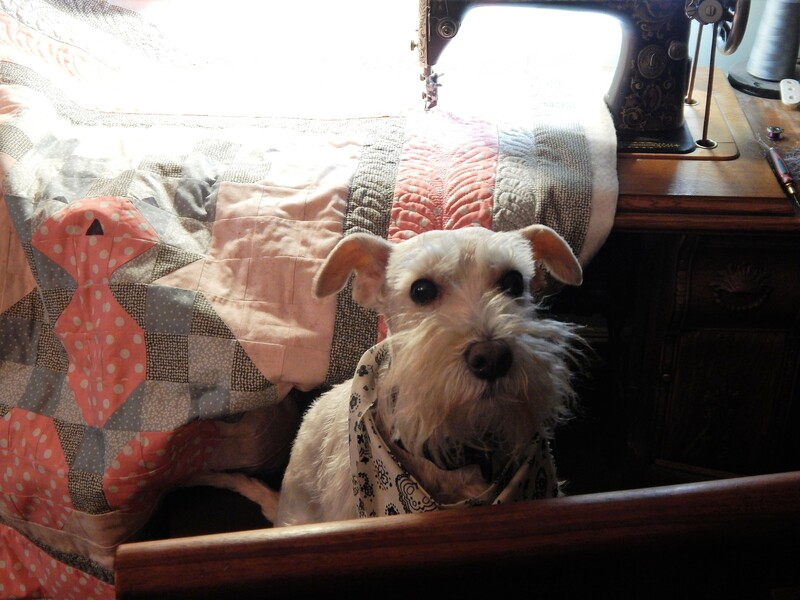 The quilt is lovely and I am sure it will be enjoyed. As you prepare….remember that healing is 78 percent following Drs. orders. This is not the time to improv! Tim, your quilt is just lovely! ❤️ My thoughts and prayers will be with you on Thursday and hope your procedure will relieve you of your pain and make you well once again. 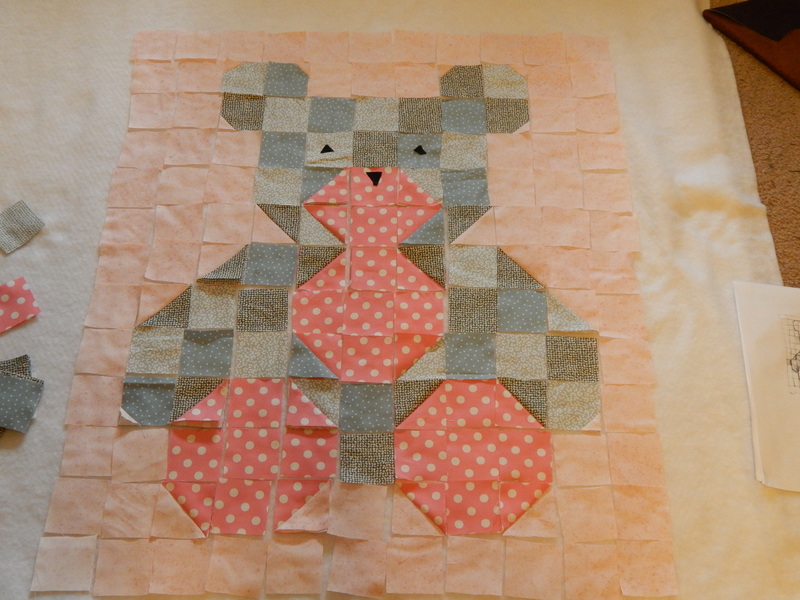 Teddy Bear quilt is adorable! Looks like you have a good supervisor as well. Good luck with your appointment. Some little one is going to love her quilt! It is adorable. Sending healing thoughts and good wishes that your procedure will as as smooth as silk and will last as long as your leather bags! 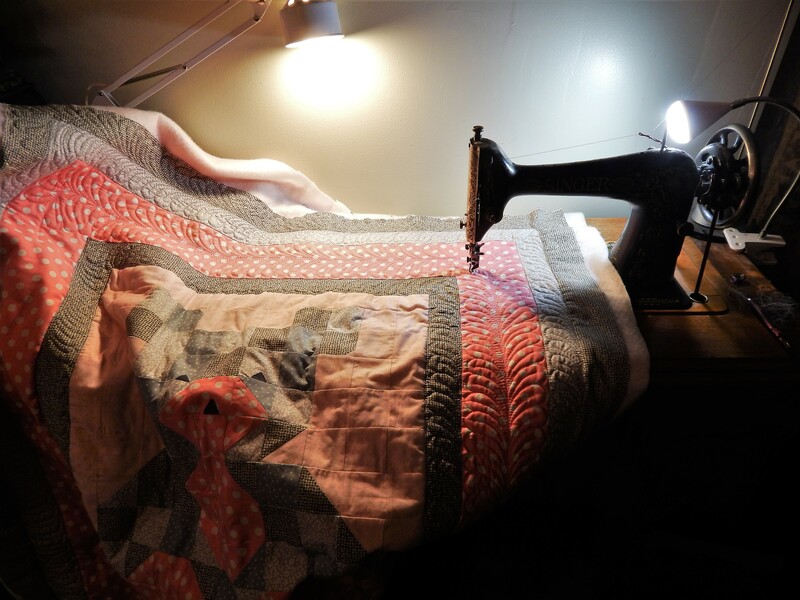 Love that litle quilt. Hope you are recovering well. Hope all went well yesterday. Let us all know how your doing !